Baltimore is the largest city in Maryland. As of the 2000 census, its population was 641,943. The city is home to an important sea port, and historically was a center of manufacturing and industry as well. While the sea port remains important, industry has gone into relative decline, and today Baltimore's economy is more orientated towards the service sector. Probably the best known educational institution in Baltimore is John Hopkins University, which is a private institution of higher learning, which was founded in 1876 and was the first American research university. Professional sports teams in Baltimore include the Major League Baseball team, the Baltimore Orioles, and the NFL American football team, the Baltimore Ravens. 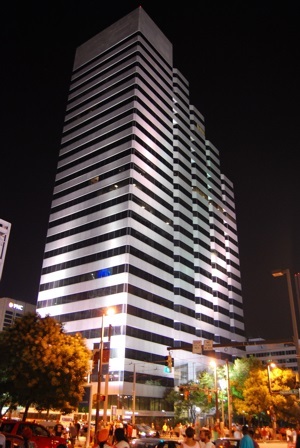 Some of the major companies that have based their headquarters in Baltimore include Black & Decker (in the suburb of Towson), Constellation Energy and Grace Chemicals (in the suburb of Columbia). The principal airport serving Baltimore is Baltimore-Washington International Thurgood Marshall Airport. During the 19th century, Baltimore was the second largest port for immigrants to the United States, after New York City. In 1996, Baltimore became the first American city to adopt 311 as a non-emergency "hot line" telephone number, leaving 911 reserved only for genuine emergencies. The scheme has been highly successful, and, as a result, has been widely emulated by other American cities. Baltimore's nicknames include "America's Comeback City", "Bodymore, Murdaland", "Charm City", "The City of Firsts", "The City That Reads", "Crab Cake Capital of the World", "Harm City", "Mobtown", "Monument City", and "The Greatest City in America". •The ultimate insider's guide to Baltimore, fully illustrated with 111 full-page color photographs•Features interesting and unusual places not found in traditional travel guides•Part of the international 111 Places/111 Shops series with over 170 titles and 1 million copies in print worldwide•Appeals to both the local market (nearly 3 million people call Baltimore home) and the tourist market nearly 25 million people visit Baltimore every year! )There is possibly no city in the United States as misunderstood as Baltimore, and yet there are few that can match it in majesty. One of the oldest Great Cities of America, Baltimore is profoundly rich in history and culture. But its character is not only derived from its past: Charm City's present and future belong to the thousands of artists and innovators who call it home. Baltimore is full of adventure and surprises. You'll visit the site of one of the most notorious scenes in cinematic history, and a candy shop that birthed a legendary R&B group. You'll hear music performed by future classical music stars, grab a bite at the last old-fashioned Polish smokehouse on the East Coast, and spend a day on a street art scavenger hunt. You will find 111 hidden places in Baltimore, whether it is your first time visiting or your 20th time, and even if you have been here for a lifetime. The city is yours to discover. As a Baltimore native, travel writer Jennifer Walker knows the ins and outs of Charm City, from browsing galleries in Station North to catching a game at M&T Bank Stadium. 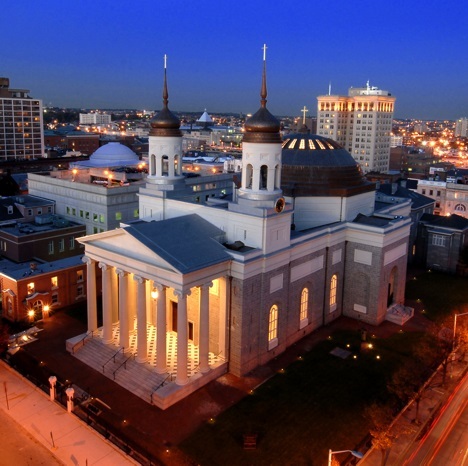 Walker also includes unique trip ideas tailored for all time constraints and interests, such as the Two-Day Best of Baltimore itinerary. With updated maps and details on everything from visiting the National Aquarium to finding the best food in Little Italy, Moon Baltimore gives travelers the tools they need to create a more personal and memorable experience. Are you planning your next vacation abroad and you’re ready to explore? Do you want to be prepared for everything? Are you ready to experience every new place you visit just like a local? Well, with this amazing Baltimore (Maryland) travel map you’re all set and ready to go! In the Baltimore (Maryland) map you can see all the available means of transport, bus stops and routes so you can always know how to get everywhere. And because we know that a vacation is not only about the roads and busses, the map gives you many options for eating, drinking and having a good time! We carefully marked all the restaurants, bars and pubs so you can always find one that is nearby. In the Baltimore (Maryland) map you will also find the best places to go shopping, the most famous and must-see sights, churches and more. And if an emergency comes up, there are markings of police stations and hospitals everywhere for your convenience. So what are you waiting for? Pack your bags, get your Baltimore (Maryland) map and let’s get started! 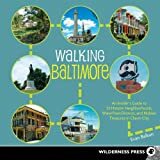 100 Things to Do In Baltimore Before You Die explores the must-do and must-see parts of Charm City for visitors who have a few minutes or a few days and for those who are visiting for the first time and those who visit regularly. It digs a little deeper for residents who have been here for a decade or an entire lifetime, marking such unusual aspects of the usual as the revolutionary layout of the Contemporary Wing of the BMA that set as much a trend in design as Orioles Park at Camden Yards did for retro designs of baseball stadia. 100 Things to Do In Baltimore Before You Die explores the popularity of snoballs, Rheb's candies, and Natty Boh beer and fuels the continuing debate about where to find the best crab cake and pit beef. There's also a note about the best places to watch Inner Harbor July 4 and New Year's Eve fireworks. The glory of spring in Maryland issues sights of trees budding, flowers blooming and a 13 foot tall pepto pink poodle bobbing in the Baltimore Harbor. The American Visionary Art Museum, located on Baltimore’s Inner Harbor, is the site of the annual East Coast Championship Kinetic Sculpture Race. Kinetic sculptures are amphibious, human powered works of art, but they may be better described as colossal propelled pool gizmos engineered to run on ingenuityand inspired by, well the inspiration can be from anything. Previous years’ entries included Cake on A Lake with a bee-hived hairdo beauty popping out of a tiered cake as the pastry made its way down the harbor (the beehive is one of Baltimore’s gifts to the world). Past entries have also included a mobile beaver lodge, the Shrimptastic float complete with support shrimp on bikes, the nine-seater PLATYPUS (Personal Longrange All-Terrain Yacht Proven Un-Safe) and the perennial plastic poodle Fifi. Sculptures are optimistically engineered to withstand the 15 mile course that encompasses city streets, a sand trap, a mud hazard and a regatta in the harbor. Bribes are de rigueur for the officials who line the course dressed in costumes holding chicken-on-a-stick signs. After eight hours awards are bestowed including the Golden Flipper, Sock Creature of the Universe (a sock puppet is required of each team), Next to Last and the Dinosaur Award for the most memorable breakdown along the race. Winners of the race are then eligible to compete in the World Championships in Arcata California, providing both pilot(s) and sculpture have survived. Baltimore is also home to the Baltimore Orioles, the Ravens, art museums, shopping, historic sites, and several colleges. But let’s face it, for one day, all that matters is the race - For the Glory! Our pocket size map of Baltimore is laminated for durability and accordion folding for effortless use. The STREETWISE® Baltimore map is one of many detailed and easy-to-read city street maps designed and published by STREETWISE®. Buy your STREETWISE® Baltimore map today and you too can navigate Baltimore, Maryland like a native. For a larger selection of our detailed travel maps simply type STREETWISE MAPS into the Amazon search bar.